For the last several months I've been working on a few new things for the shop. First up, my 2014 Bible verse calendar. I have wanted a little monthly calendar with basic Bible verses for a little inspiration and when I couldn't find just what I was looking for, I made my own. I thought it would be nice to give out to friends and family at Christmas so I bought some little cotton bags and designed a stamp for them. The stamp says "do all things with love." There are 12 unique designs of a Bible verse for each month and each is printed at 4x6 on card stock. The back is left blank so you can record important events throughout each month and then neatly store the year away in the bag. Each set is packaged in a sturdy box with a little kraft crinkle paper and ready to ship. The next two items in the shop are digital graphics, aka clip art, and all are hand drawn by myself then digitized for you to use! 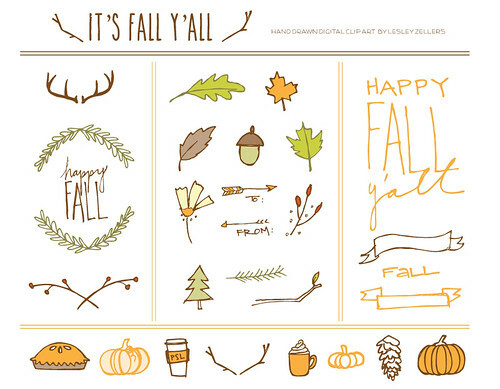 I started with a fall set, "it's fall y'all." There are pumpkins, leaves, banners and some text, all making up 27 graphics and they are available in both transparent PNG and vector EPS. You can click on the images to link over to the shop listing for more details. The second set it called, "merriest" and is a holiday/Christmas/winter collection. There are ornaments, packages, more banners and more fun text, all making up 29 graphics, also available in both PNG and EPS formats. I have two more Christmas sets that I'll be adding to the shop soon so check back soon! AND just to make the week a little sweeter, because this Saturday is my birthday and all, I'm giving away two calendars to a random person - one for them and one for them to gift. - leave a comment telling me happy birthday. super excited about the calenders! 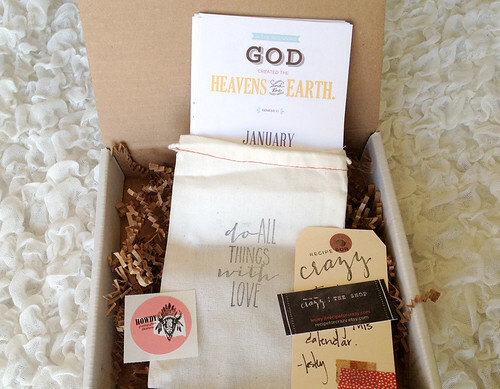 such a great gift idea and a wonderful way to spread god's joy! happy happy birthday!!! Love the calendar!! Happy Birthday mine is the 9th!! that calendar is amazing!!! well... you are too. Love the calendar & Happy Birthday!! Happy Birthday! Today is my daughter's birthday, too. The calendar is lovely. I really like the idea of recording special thoughts, on the back. Very clever. Just like you. Happy, happy birthday! Your work is all so awesome-love the calendar! Love your blog, very cute shop. Happy Birthday! Happy Birthday!! Those calendars are so cute. Would be perfect for my office and to give to my work mom. Thanks for the giveaway! I love the calendars! Happy birthday! Have a very Happy and Blessed Birthday! I love the prints...they make me excited for the upcoming holiday seasons...bring on the cider and pumpkin pie! Those calendars would make great Christmas gifts! And... of course, happy birthday Lesley! happpppy birthday! and i love love love the calendars! Happy Birthday! What a sweet idea for the calendar! Happy Birthday! Love your calendar! Happiest of Birthdays! Goodness time to start working on Christmas lists! happy birthday to myself. thats what i'm going to say when i win these. You are so talented! Hope you have a happy birthday!! Happy Birthday!! Those calendars are awesome!! I am buying for Christmas presents (and maybe one for myself:). Thank you so much for the opportunity to win them! A very Merry Birthday to you, Happy Fallidays, a Joyful Christmas and all that...I'm good until January now! Hehe! Crazy love the calendars and already have a friend to gift the extra one to! Thanks for the awesome contest. Now following you on Instagram! :))) Have a fab day! yessssssssssssss! birthdays, sharing God's word, a giveaway, pretty packaging..... SO FUN! have a splendid birthday! Happy Birthday! Love the Calendars!! Hooray! Happy Birthday! I LOVE your calendar!!!!! Love these calendars! And, I do hope you have a great birthday! I love birthdays!!! The calendar is fabulous!! What a great gift they will make. Hope that your Birthday is wonderful. 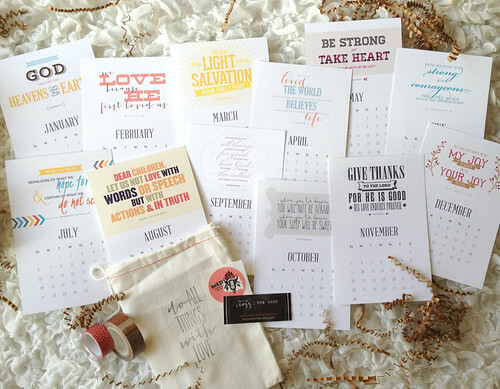 The calendar in a sweet cotton bag is a great gift idea. Happy birthday to you! Many happy returns to you today! Have a great birthday!! i mean. happy birthday. and pick me. for your birthday i am giving you one amazing catfacebooth picture. Happy Birthday. Seriously though. I hope you have a wonderful one. I love your calendar!! I LOVE THIS!!! I was actually planning to gift it to my dear friend and then I find out I get two! YES! Hope I win :) PS so happy to have found your blog. Happy Birthday! I love the calendars! Happy birthday! What a beautiful calendar! I would be so grateful to have one! Happy Birthday :) Love your prints!! I bought one for my brother earlier this year. Happy Birthday! I'm buying that calendar if I don't win it. Cutest mini calendar ever! I would love to have one. :) Oh and happy birthday! These are absolutely adorable! Love it! Love these and wishing you the happiest of Birthday's! Love everything about these! Hope you have a happy happy birthday!! I love those calendars! They will likely be my Christmas gifts for my sisters-in-law. Happy Birthday to you!!! The calendar is beautiful!! the calendar is so good. i need it. choose me. Have the Happiest of Birthdays and may God bless you big in your new year. happy birthday Lesley! I spotted this gorgeousness on instagram a while ago and have been dreaming of having this grace my wall throughout next year. I hope you celebrate well on saturday, thanks for sharing the fun with us! Happy happy birthday!! What a lovely calendar. What a gorgeous calendar!! Happy birthday! love that calendar! and happy birthday to you!! You are so talented! Love following your blog. Happy Birthday!! Happy birthday! Love the little calendar! LOVE the calendar!! And the graphics!!! Happy Birthday!!!! Happiest of Birthdays! And thanks for sharing! happy birthday lovely! =) these calendars are beautiful! HAPPY BIRTHDAY!!!!!!!!!!!! Love the calenders!!!! I know exactly who I would give it too!!!!!!!!!!!!!! HIP HIP HOORAY!!! "happy birthday to you!" Your calendar is quite the loveliest i've seen ~ beautiful, beautiful work!!! Happy birthday!! you knew everyone was going to say that ;) love your work and these calendars! Happy birthday! The calendars are too cute! They are so cute! Happy birthday! Happy Birthday! Love, love, love the calendars! My best friend would absolutely love them! Happy Birthday! 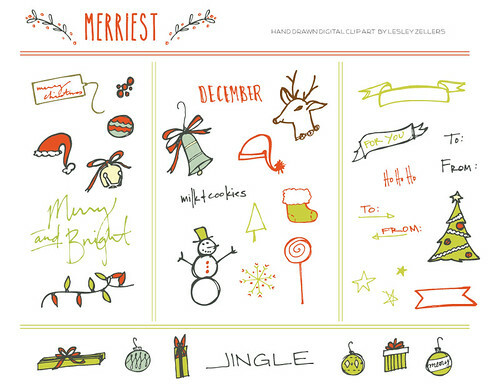 I love love love the calender and I can't wait to see you Christmas card designs! This is not holiday-related, but I would love it if you created and sold a print of either of the following two verses. If you did, I would totally buy them! Just a thought! You are so talented! Happy birthday and enjoy your day!! I love the new designs. I hope you have a fabulous birthday! Hope you have the happiest day ever! Wishing you the happiest of birthdays! Thanks for sharing your talent with us! I love to work with Pixlr editor; it’s such a nice and handy tool to use. Some tools are new for me… will surely try it. Thanks for sharing. Online Photoshop Free. First of all i am thankful to you for bringing us such a nice and awesome piece of contents. I am in the photo editing field since the last few years and i just loved the fonts used in the photos above. I can find it in Photoshop Online Free which is actually a photo editor online.